Teaching has always been a great passion of mine. The idea of watching a child progress and grow under my care is simply amazing and incredibly rewarding. I tutor children across the primary phase, all the way from teaching how to read and write in English, to solving complex problems in Maths, to preparing them for their upcoming SATs or 11+ exams. I tailor my lessons to cater for each child's individual needs. I have a gentle and friendly approach whilst teaching children. I always look for ways to help them make connections between the things they learn, for them to enjoy learning and to boost their self confidence. I believe that every child is truly special and unique. I have successfully tutored children with specific learning needs and disabilities, as well as children that have English as an additional language. All my students have made excelled progress in their studies, therefore most of my students come from personal recommendations of satisfied and pleased parents. I have been successfully tutoring for 7 years. Students under my guidance have progressed both in their academic studies as well their self confidence. One student in year 2, unable to read, began to excel in his reading just after 4 months of tutoring. Another student, in year 6, really struggled with maths and seemed to have given up on it. Within a year of tutoring and mentoring, she grew confidence in the subject and was achieving great marks in her mock SATs papers. Adeela has been teaching my little one in year 4 for a few months now. My daughter absolutely loves her lessons and her company. She was asking if we could have the teacher every day! In the recent parents evening, her school teacher mentioned how her confidence and quality of work has improved. Highly recommend Adeela as a tutor. As a parent, the most important thing for me was to ensure my child was in safe hands and a productive learning environment. Ms Adeela began tutoring my son when he was in year 5. I was rather concerned about his progress at school as he lacked self confidence and he was falling behind rapidly both in Maths and English. Since Ms Adeela began tutoring my child, I have noticed a significant improvement, not only in his academic performance, but also in general attitude towards learning. My son is now is year 6 and is well on track with his learning, much more independent and no longer resents Maths. Ms Adeela is a very hardworking, focused and inspirational tutor who has helped my son cover the learning gap he had, as well as improve his self confidence. I am very satisfied with her teaching style and am very grateful for her provision of knowledge and guidance for my child. I strongly recommend her. 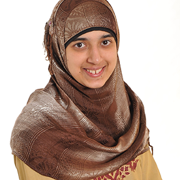 Adeela has been an absolutely brilliant tutor for my children. My son and daughter (year 3 and year 5) began lessons with Adeela 3 months ago. I must say how pleased I am with their progress - even their teachers at school were asking what I was doing with them at home. She provides her own resources so I don't need to worry about that. Her approach with my children is very calm and gentle and they look forward to tuition with her. Thank you Adeela! Adeela tutored my daughter for her 11+ exams and I was very pleased with the results. My daughter gained a very good understanding of the verbal and non-verbal reasoning papers and style of questions. Adeela provided us with all the resources for the lessons and always gave my daughter enough work to keep her busy until the next lesson. She also gave me plenty of advice on how to keep my daughter focused. I am really grateful to Adeela for all her help. My daughter thoroughly enjoyed lessons with her and achieved high marks in the exams, enabling her to enter into one of the grammar schools on our list of preferences. Thank you so much! Adeela has been a great help with teaching my 10 year old son. He has mild autism and struggles in all areas, particularly with writing. Adeela has been ever so understanding and patient with him. She has instilled a passion for learning in him which I am ever so grateful for. My son has started to look forward to her lessons! Thank you so much.